Each year 100 billion single-use coffee cups end up as landfill, enough to fill the Royal Albert Hall a thousand times over. Choose WAKEcup and make the change! 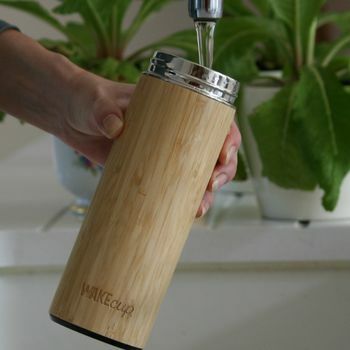 WAKE products are the stylish alternative to single use cups and bags. The UK Government estimates our total annual coffee cup waste equates to 30,000 tonnes and suggest that by 2025 more than 3.75 billion disposable cups could be used per year in the UK alone - staggering! What's worse is that just 0.25 % are recycled. Meanwhile - despite the 5p levy, it is estimated that 500 Million new disposable plastic bags are entering the system each year. With around 8m tonnes of plastic making its way into the world’s oceans every year, experts estimate that plastic is eaten by 31 species of marine mammals and more than 100 species of sea birds, killing over 1 Million p.a..
More and more of us are turning our backs on the throw-away society and are returning to reusable products. so why not join us and spread the word - WAKEcup and smell the coffee! Why should you choose WAKE? WAKEcup donates 10% profit from every cup directly to our charity partners, The Marine Conservation Society and Plastic Oceans. 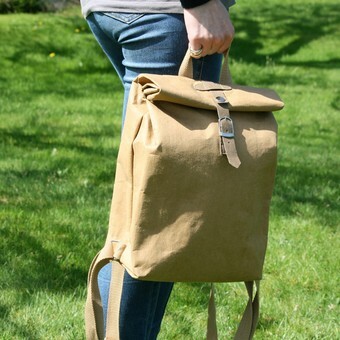 "Received lots of comments from others saying how nice it looks. Good quality. Very pleased with this purchase." 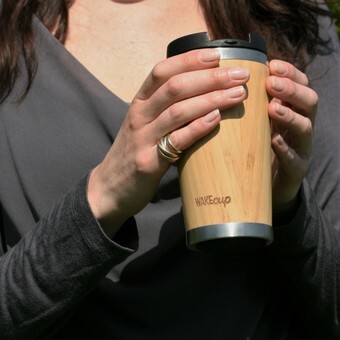 "Great sustainable product, Thankyou :)"
"Love it, good size and feels very sturdy"
"If you’re looking for a stylish and environmentally friendly alternative to disposable cups, look no further than WAKEcup. " 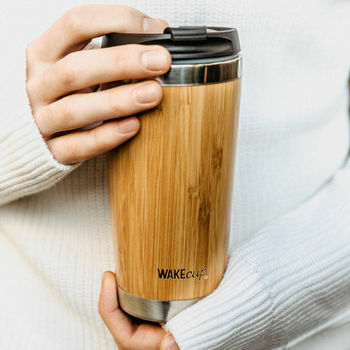 "Undeniably good looking, WAKEcup’s Water Bottle keeps your drinks cold for 4 hours and the bamboo exterior is a stylish departure from the norm." 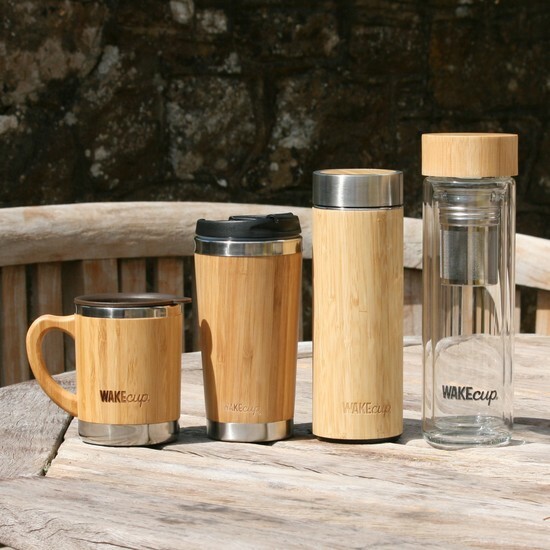 "If you’re looking for a stylish and environmentally friendly alternative to disposable cups, look no further than WAKEcup. 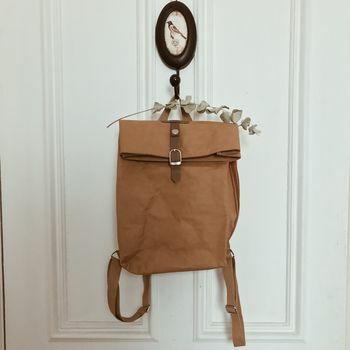 The Pool"
"Great examples of sustainable initiatives include GlobalWAKEcup, who have teamed up with The Marine Conservation Society to create sustainable coffee cups and bags in order to reduce plastic pollution."